Kiddiewinkles Toy Baskets (£25) are a stylish yet practical way to keep rooms tidy and clutter free. 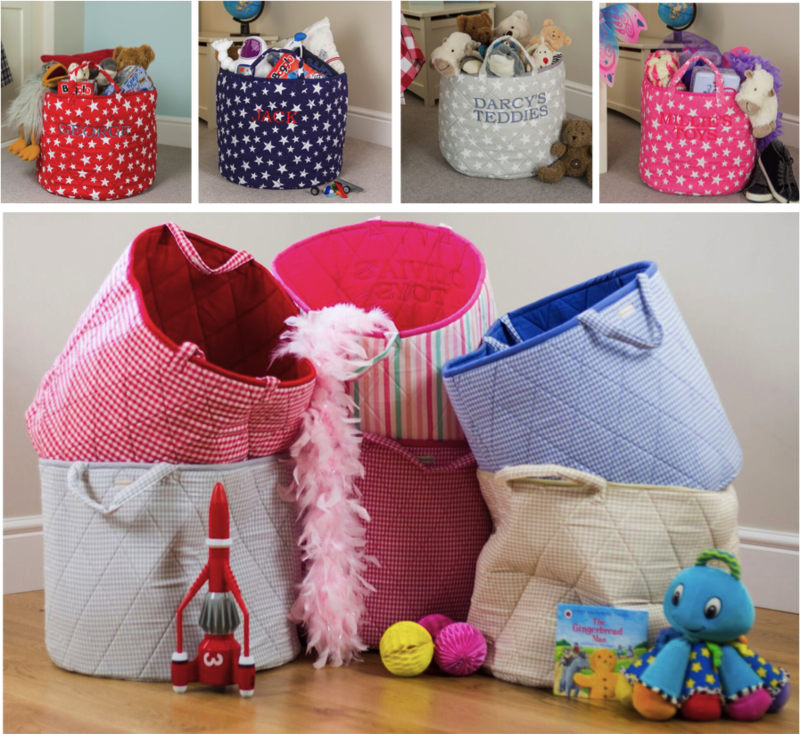 With no hard edges they are perfect to store kids items, including cuddly toys, towels, bedding and more. Thanks to two strong, inbuilt handles, they’re easy to move and the quilted 100% cotton fabric gives them a really premium feel. Available in a variety of star and gingham colours plus Kiddiewinkles’ gorgeous multi-striped fabric.